This is the continuation of the workshop organization which was first held in the summer of 2016. 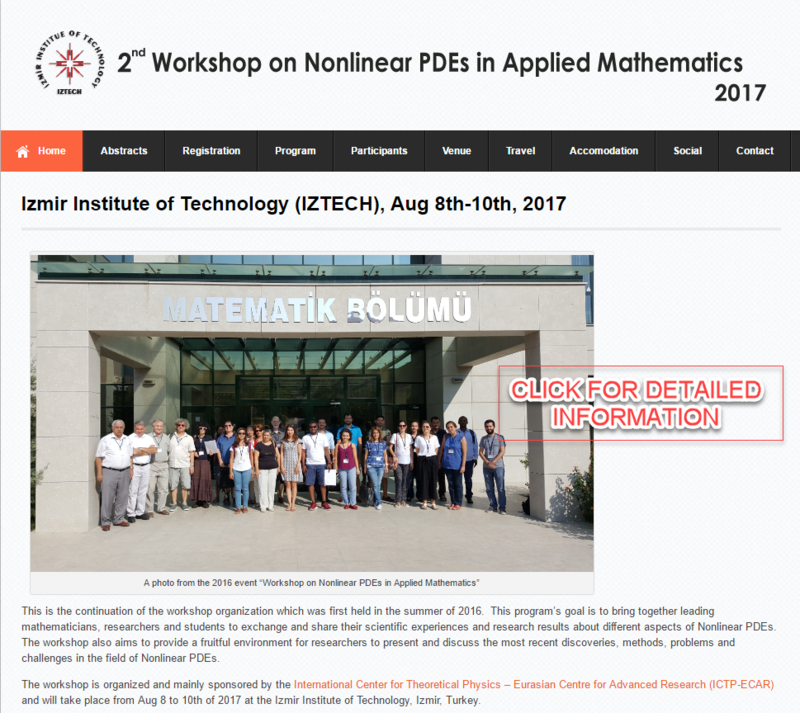 This program’s goal is to bring together leading mathematicians, researchers and students to exchange and share their scientific experiences and research results about different aspects of Nonlinear PDEs. The workshop also aims to provide a fruitful environment for researchers to present and discuss the most recent discoveries, methods, problems and challenges in the field of Nonlinear PDEs.